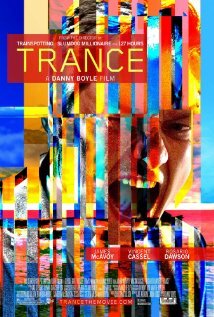 Trance is an extremely convoluted film by director Danny Boyle, not necessarily because of the narrative structure but how the film is stylistically pronounced. There are audio-visual red herrings used to mask over the absurdity of a plot that switches from a heist movie to an internal psychodrama. However, once you overcome the deliberate sensory overload, the story and characters don't make enough sense to hold any emotional investment. Despite Boyle's experience and imprint as a deeply stylised filmmaker, Trance is a disappointing example of technique in search of effect. The film starts off with humour and an energetic heist, but the story and the character motivations are extremely convoluted, buried deep beneath the [electronic] sound and fury. 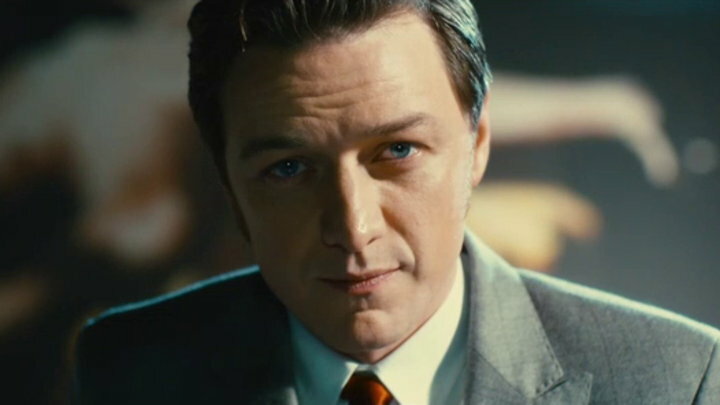 Simon (James McAvoy) is an auctioneer (or is he?) who describes the changing methods of stealing art over the years. It turns out that he is actually part of a job himself and in the chaos of a raid on an auction he snatches a Goya painting. As he escapes, he is hit over the head by crime figure Franck (Vincent Cassel). Due to the blow on his noggin, Simon can't remember where he hid the painting. Franck tortures him for the location but this fails. Simon is then instructed to see Elizabeth (Rosario Dawson), a hypnotist who Franck and his men believe will be able to work his mind and reveal where the painting is. Simon must lie to Elizabeth about what he is actually trying to find. Aside from the heist, there's very little here that's believable or clear. There's an early scene for example, where the thugs wire up Simon with a microphone and listen in on the sessions from their car, which doesn't ring true. One of the major problems with the film's plotting is that there is little time establishing who the characters are. The screenplay by Joe Ahearne and John Hodge is hesitant to revealing the inner life of the main players only so that they can withhold a huge plot twist at the end. It's not a gamble that pays off because the 'gotcha' moment feels more like a conventional thriller twist rather than a psychological insight into Simon's character. Failing to establish the characters properly weakens their credibility and motives and makes them seem more like plot devices existing in a vacuum instead of real people. You will be wondering why Elizabeth strives so persistently to help Simon and when those answers are revealed late in the film they're improbable and unsatisfying. The narrative twist will remind you a lot of Inception, which Trance draws heavily from in the way it plays with memories, but it is without the same clarity or the emotional investment, failing to earn its story turns from the start. Realising the generic hide and reveal structure of the narrative, Danny Boyle has employed an aesthetic resembling a music video to disorientate the viewers. I was impressed with the bravery of his formal choices in 127 Hours (2010) but it's like he's forgotten how to be calculating as a filmmaker. The stylistic choices he makes either lack purpose or overstate the theme. Camera angles are frequently tilted sideways and a neon lit colour scheme is employed to remind us tiredly of Simon's confusion. The blaring electronic soundtrack also raged so loudly and needlessly that I stuck my fingers in my ears at one point. 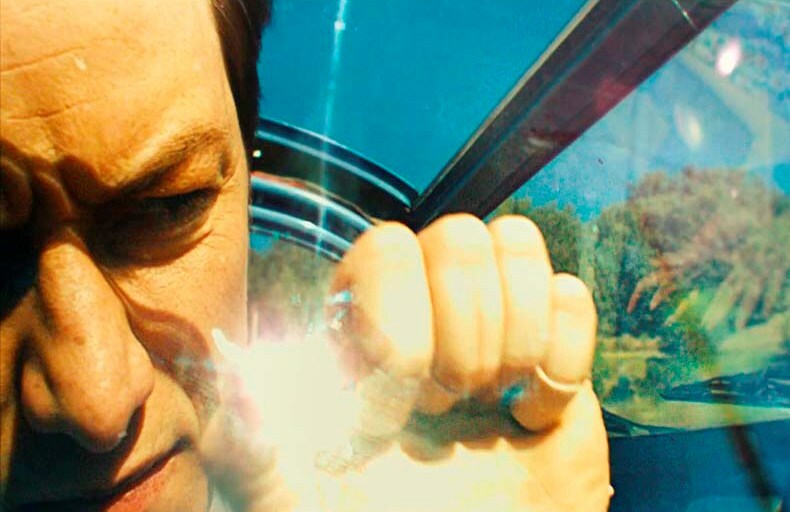 If these superficial techniques weren't distracting enough, the film also tries its hand at melding the real and the fantastic together in overlapping scenes, so that we're not sure if we're in a dream or not. The film becomes very messy, super violent, and not much fun. I found it so confusing that it took me out of the story and I didn't care one iota about the characters. If there is a point to their story, the film is about the way that people try to suppress trauma and personal responsibility in their minds. Yet for a movie striving to be psychological, it is the personal and human weight that is notably missing.